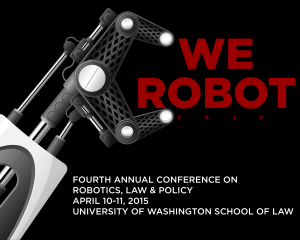 We are excited to be hosting the fourth annual robotics law and policy conference with the University of Washington School of Law in Seattle on April 10-11, 2015. We have had a number of great papers submitted and the program is now available on the conference website WeRobot2015.org. Watch the We Robot panels here.